The village we support is called Neema Nguuni. It’s in the district of Nguu Tatu (Three Hills) in Kenya, Africa. 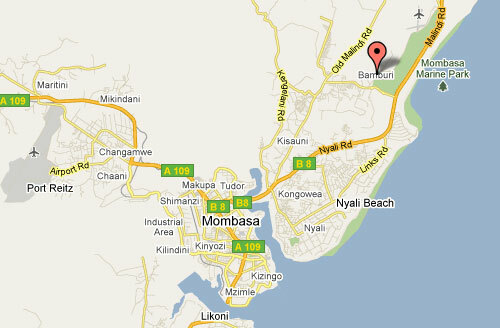 Here’s where it is in Kenya – an hour’s drive north of Mombasa; the red mark at Bamburi is the location of the park where the children saw their first giraffes! 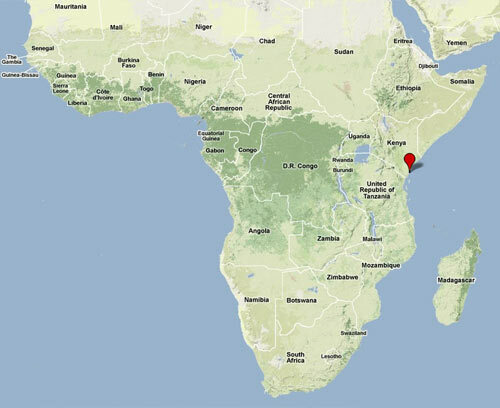 Here’s a map showing where it is in Africa.